(1) Where will I keep my boat? All our folding and inflatable boats need less storage space than conventional ones. Some reduce in size enough to fit in a cupboard (or even under your bed!). (2) How will I get my boat to the water? 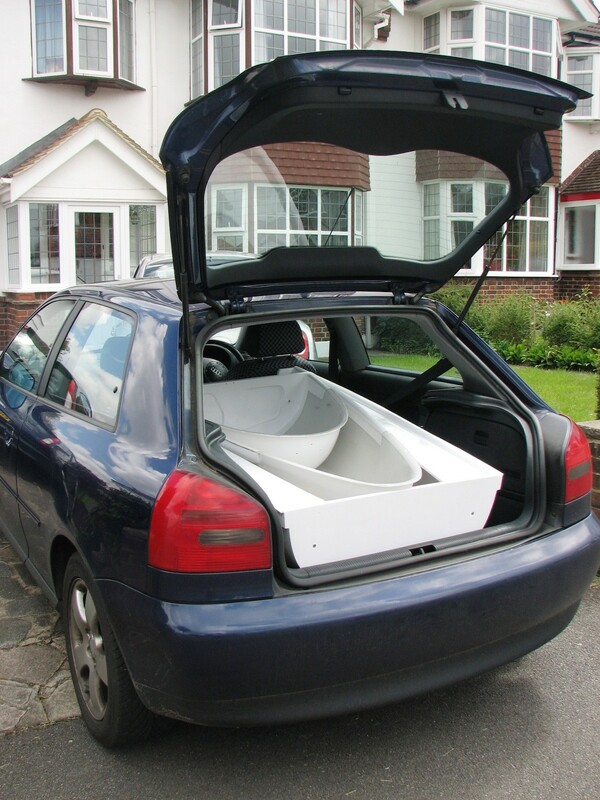 Our boats fit inside or on top of most cars, yachts and motorhomes, so there is no need for trailers and the hassle of towing. By answering those questions, we hope to make boating available to a wider audience. 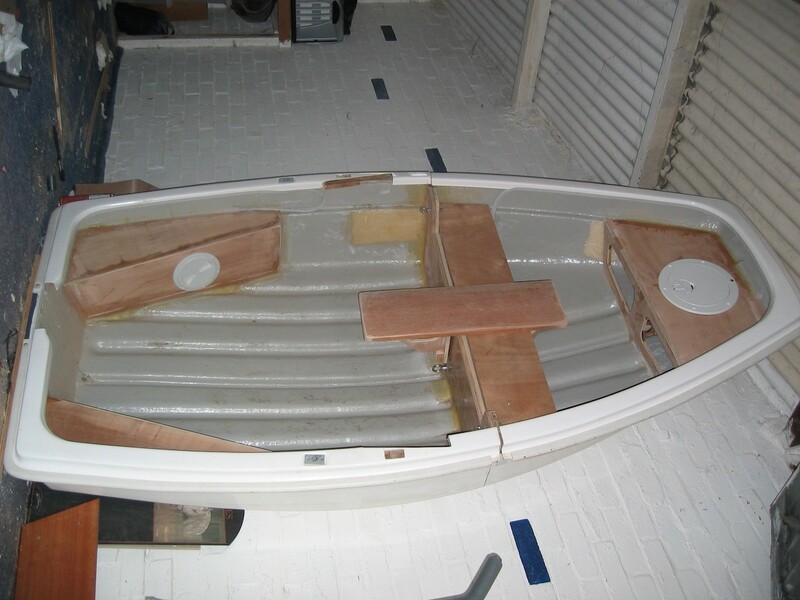 Nestaway Boats started in 2007, but our MD and founder Ian Thomson had been toying with the idea for at least ten years before that. At the time, living on board a yacht, he’d found that his dinghy was equivalent to a car. In harbour it was used almost constantly: carrying water, going to the shops, going to the bar, visiting other yachts, setting out anchors, and going snorkelling – to name a few. 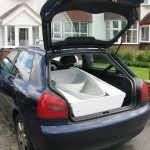 After a few years he came to some conclusions about what he wanted from his “ideal dinghy”. This Utopian Yacht Tender would be stable and capacious, durable yet light, and could be powered by oars (pleasant to row, not an emergency procedure), sail or motor. Most important of all, it had to fit in the 5ft space he had available on deck. 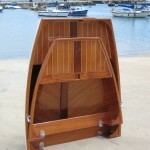 His solution was a nesting dinghy – where one section detached from and fitted inside the other. Ian found there were DIY build plans, but nobody actually making such a thing to buy. So he decided – in an age that many people don’t have the time and/or ability to build their own boat – to productionise the concept! There was a slight problem with this idea… Ian was not a boatbuilder. 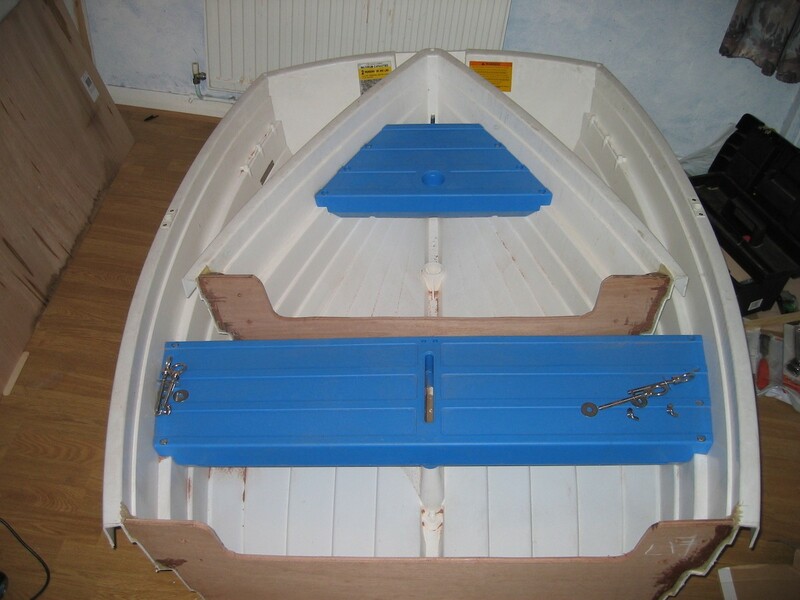 His first “victim” – after returning to life on dry land – was a plastic Walker Bay 8, cut in half in the spare room of a rented 2nd floor flat. It did work as a proof of concept, but was not really something that one could sell. 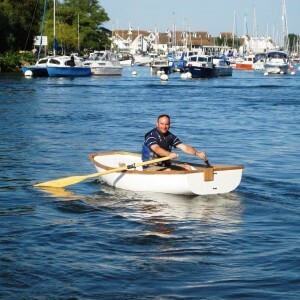 Prototype 2 was built from another production dinghy, in a ground floor garage, and on prototype 3 he became really ambitious, making a 3 part nesting canoe. Still nothing sellable though. At this point he decided to enlist the help of the Boat Building Academy in Lyme Regis. 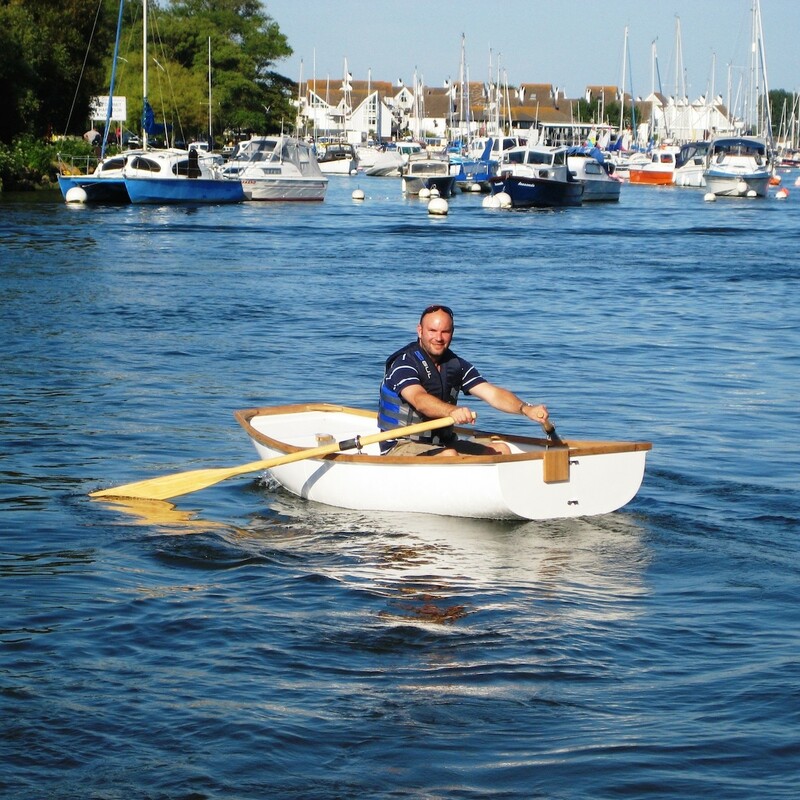 Or more accurately he enlisted on their 9 month boatbuilding course, during which he built (from scratch) a two-piece 8ft nesting pram dinghy. With its beautiful cold-moulded, double-diagonal mahogany hull, the result was something that people did want to buy – but not at the price he would need to sell such a time-consuming labour of love. 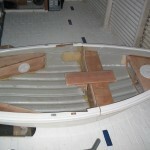 Next stage was to take moulds from the Pram, and build fibreglass hulls. 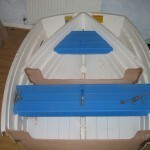 This led to what we call the first production Nestaway, launched to the public at Southampton Boat Show 2009. Sales from that were encouraging so Ian then came up with the Trio 14, a three-section nesting motor canoe that would fit in the back of an estate car. 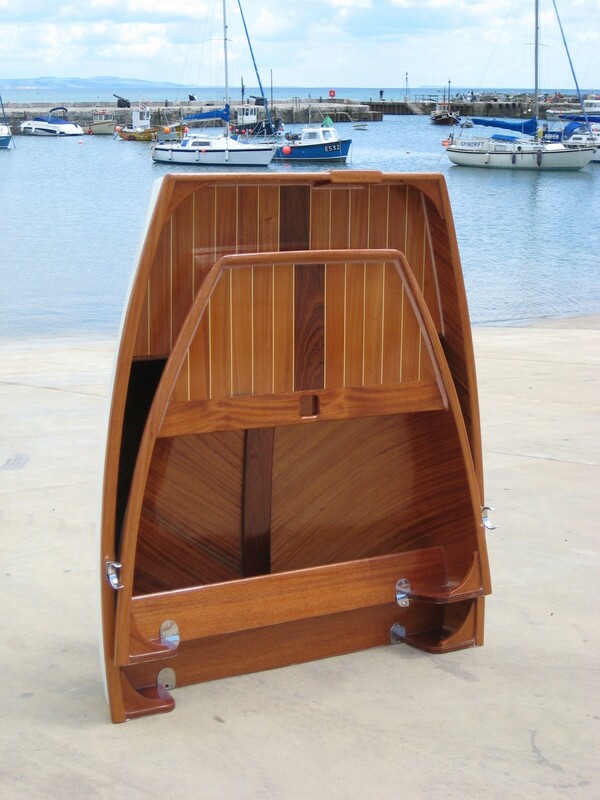 Both models are still in production today, as is his third and most popular design, the two-piece 9ft clinker stem dinghy. The first boats we added to our range, that we didn’t manufacture ourselves, were the modular kayaks from Point 65 of Sweden. Swiftly followed by the fold-flat plastic Portabotes (USA). And then the skin-on-frame folders from Nautiraid (France). 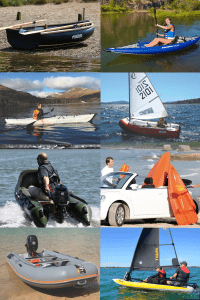 DinghyGo sailing inflatables from Holland… F-RIB folding hard-bottom RIBs from Russia…. Oru origami folding kayaks and Aquaglide high-pressure inflatable kayaks from USA… and most recently the Tiwal fast sailing inflatable from France. 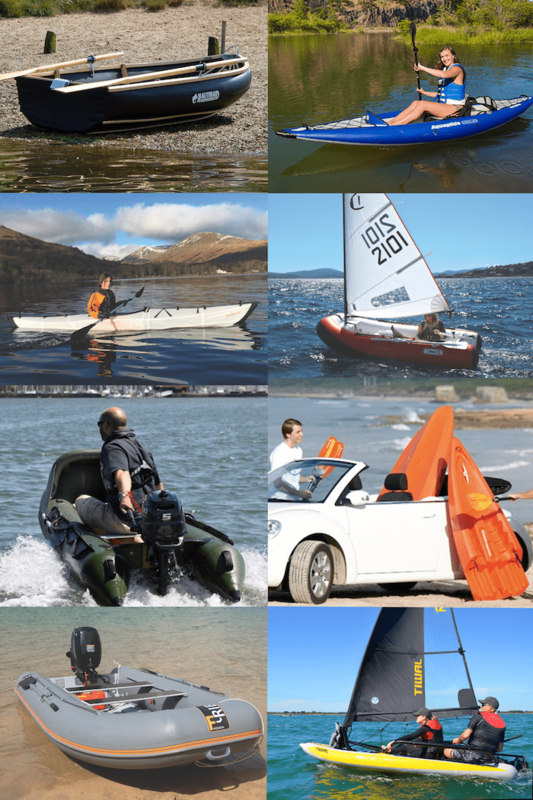 As of 2017/2018 we have designed and launched a new product – the SpearFish range of motor canoes. Skip to the SpearFish page or go to the dedicated SpearFish website. By offering so many different solutions – over 40 at last count, excluding colour and specification variants – the idea is that we can listen to you and make recommendations based on what you need from your boat. Specifically, we don’t feel obliged to push one product whilst knowing that there is another that might suit you better, because now we sell pretty much all the competitors too! If you can tell us what you want, or what you think you want, from your boat, we can nearly always refine the choice down to the 2 or 3 that would suit you best. And we genuinely enjoy making that journey with you, so if you need any help please do send us an email or give us a call.